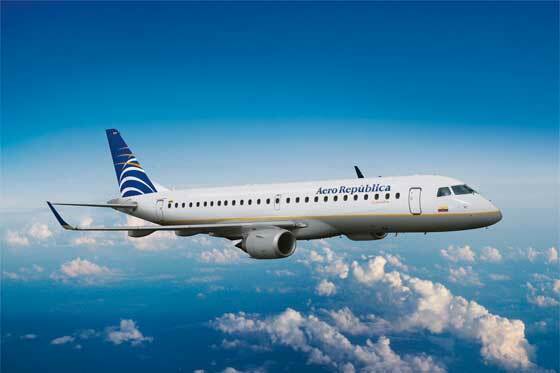 Colombian carrier Aero Republica commences business class seats on international routes in and out of Colombia. Clients will be able to like the luxuries of business class in flights between Panama and the Colombian cities of Bogota, Cali, Medellin and Barranquilla, as well as the newly inaugurated Bogota-Quito-Bogota route. The business class facilities comprise VIP waiting rooms, preferential service and boarding, baggage priority, more comfortable and spacious seating, moist towelettes, more meal options and a variety of alcoholic and non-alcoholic beverages, reports Terra. OnePass members will also receive more frequent flyer miles and will be eligible to obtain automatic upgrades to business class up to five days before they fly. At Aero Republica we feel proud to be able to proclaim to travelers our new business class on more than 120 international flights per week, said airline President Roberto Junguito Pombo.